Does Avoca Have What it Takes to Be the Best Colarusso's? This important review has been a long time coming. 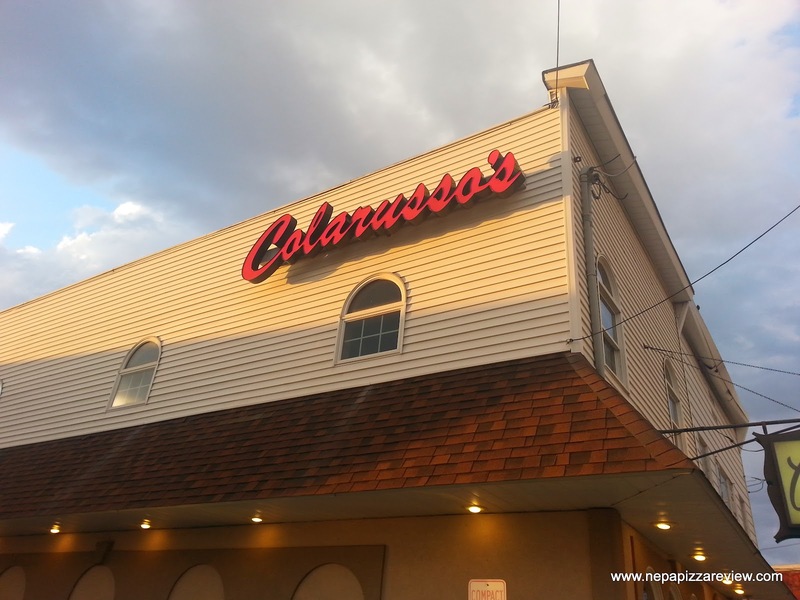 Since starting this blog a couple years ago, I've consistently received suggestions from readers to get to Avoca and review the Colarusso's location there. 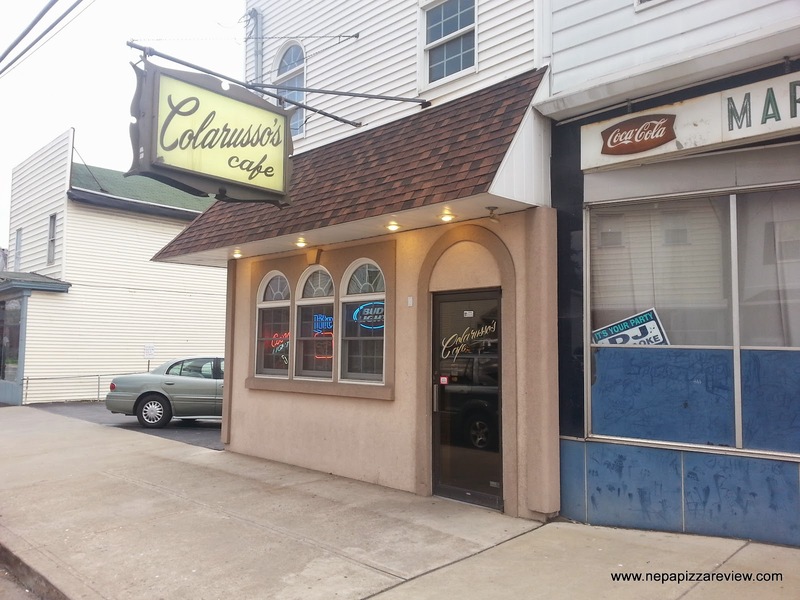 I've received many many requests for this, and most of the readers suggest that this might be the best Colarusso's location out there, which is a pretty bold claim. Of course, I had never been there before so I had to go check it out for myself to finally see what all the buzz was about. One day, my fiance mentioned that she was in the mood for some Colarusso's pizza (meaning the location closest to us in Clarks Summit) and it stuck me that we should give the people what they want and head to Avoca and give this place a try. When we arrived, we entered to find a very nice dining area with a full service bar and around 20 booths and tables which were mostly filled by hungry and happy diners. The atmosphere was casual and had a nice relaxing Italian feel to it. Our waitress greeted us and took our order for wings, calamari, and of course - an Old Forge Red pizza. I mention the appetizers for two reasons, the first being that they are all very cheap when you consider what competitors charge for them. Have a look at their menu to see what I mean! The second reason I mention the appetizers is that they came out in world record timing. We were sitting in the back near the kitchen and we could hear the bell ring to alert that orders were ready and it seemed like the bell would be rining as soon as the waitress placed the order! Kudos to the cook, because I've never seen wings cooked so quickly. The pizza was also ready very quickly, which I knew after I heard the ding of the bell and "Pizza" exclaimed from the kitchen. It was really neat to sit back and watch this harmonious service take place. The pizza came out and it was cooked to absolute perfection with an ever so slight browning on top, and a crust that was crispy, but left a little chewyness to savor. We took our first slices and gave it a shot. Our first goal was to determine if this Colarusso's location used the same recipe as most of the others. After some brief debate we concluded that this was the same recipe (or at least very similar) to the others. The thing that set this pizza apart from the rest was the way in which it was prepared and cooked beautifully. The shell was also very fresh, almost as if it wasn't prepared ahead of time or at least prepared very soon before baking this pizza. We did not detect any chunks of onions in the sauce although the flavor suggested to me that onions could have been used in the making of it, but I couldn't be sure. All that I was sure of was that the sauce was very good along with the rest of the pizza! So after trying Colarusso's in Avoca, Clarks Summit, Dickson City, Dunmore, and Jessup, which Colarusso's is my favorite? Well the truth is, they are all fantastic because the Colarusso name is synonomous with quality food and service around the region. An easy out would be for me to say the Dickson City Coal Fired location is my favorite, which it is but that is a totally different style of pizza and a way for me to dodge the question. Which (Old Forge Style) Colarusso's is the best? Well to me, it's a close matchup between Avoca and Clarks Summit. Avoca offers the best prices and Clarks Summit offers the Italian Lunch Buffet. 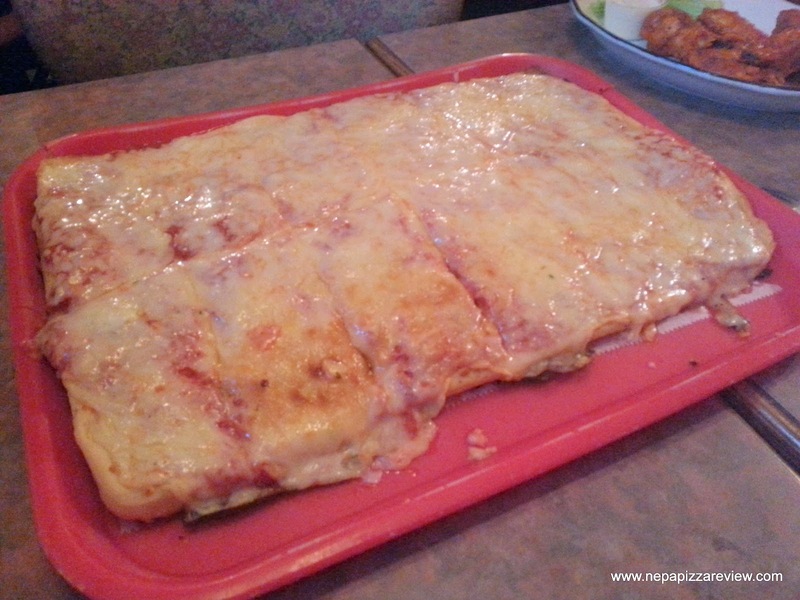 Clarks Summit has been a lifelong staple of mine and has a special place in my heart, but my decision has got to boil down to who had the better Old Forge Red pizza, and I think the first lady and I agree that the red tray in Avoca was the best that we had. That was a tough choice, but truthfully all of the locations I have been to have been great and I really have never had a bad pie from any of them. They are consistent and provide a quality product. 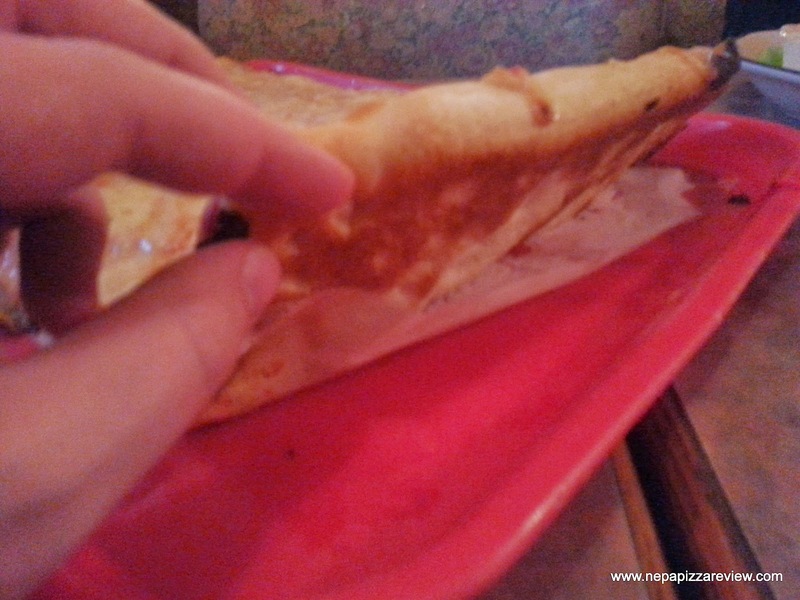 I recommend all of the locations to the NEPA Nation, especially the one that I just reviewed. What is your favorite Colarusso location? Let the debate continue in the comment section below!